HVAC Contractors Can Install Upgrades to Your System | Sierra Pacific Home & Comfort, Inc.
What Is an Adara Battery and How Does It Help with Solar Energy? Another long hot summer is on its way, and your air conditioner is going to be called upon to perform day in and day out. That can put a huge strain on the system. As well as costing you an arm and a leg in high bills, our summer heat can lead to a an AC breakdown or similar problem, in some cases leaving your home without cool air in the middle of triple-digit temperatures. Anything you can do to reduce the stress and strain on your system can be an immense help, lowering bills and reducing the risk of a midsummer’s breakdown. And now is the perfect time to consider your options on that front: when the weather is still relatively cool and you have the time to install an upgrade or similar features to your system. 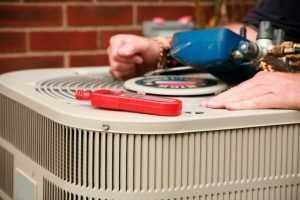 When you do, you want to make sure you use a qualified HVAC contractor in Sacramento, CA with experience performing installations of all kinds to heating and air conditioning systems. That means they can advise you on all your possible options, as well as performing the upgrade with confidence and care. What kinds of upgrades are available? Here’s a brief list to give you some idea. Whenever relative humidity levels rise above 50%, the air is too full of moisture to allow the sweat evaporate off our skin. The air feels hotter and muggier, and can often foster the growth of germs and bacteria. Air conditioners can deal with high humidity in a crude way, but they’re not set up for the task and the added strain often creates problems for them. A whole-house dehumidifier, on the other hand, allows you to tailor the humidity levels in your home: selecting the level that is most comfortable for you and easing the strain on your air conditioner as well. For homes seeking healthier air with less dust and bacteria, an electronic air purifier might make a good fit. Air conditioners come equipped with a basic filter, but the filter can’t always trap the smaller particles, and other contaminants can slip through as well. An electronic air purifier, on the other hand, ionizes particles and causes them to stick to a pair of collection pans. The dust can’t get through no matter how small the particles may be. If you’re concerned about germs or bacteria, then UV air purifiers shine ultraviolet light across the width of the ducts—harmless to us, but lethal to single-celled organisms. Thermostats are designed to be used fro a long time. If yours is more than ten years old, consider an upgrade to a smart thermostat or similar model. They allow you to program them remotely via an app on your phone, for example. In addition, some models can make little adjustments to your heating and cooling schedule based on your normal habits, saving you a great deal of money in the process! If any of these features sound like a good fit for your Sacramento, CA home, call Sierra Pacific Home & Comfort, Inc.